I have preconditions for a test case in Microsoft Test Manager (MTM) but I don’t know where to store or how to notify the tester before executing the test. 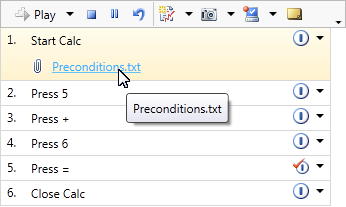 Attach a preconditions document to the first step of your test case or create the preconditions as a shared step. 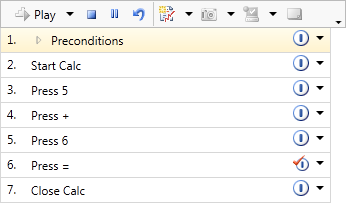 When creating a Test Case in MTM you can have attachments on each test step in a test case. One solution to the problem of preconditions is to attach a document that contains the preconditions to the first step of your test case. Now when the tester begins the test case the first step will be presented with a link to the preconditions document. From there the tester can simply click the link to open the document and perform the necessary preconditions for the test case. This same method can be used for any post conditions as well be attaching a document to the final step of the test case. Another option is to create the preconditions as shared steps and include them as the first step in the test case.